Downloadable Content can be a controversial topic. On the one hand it can feel like a developer/publisher nickel and diming the player, and on the other, it can also help to enhance a game experience and lengthen a game's play-life. 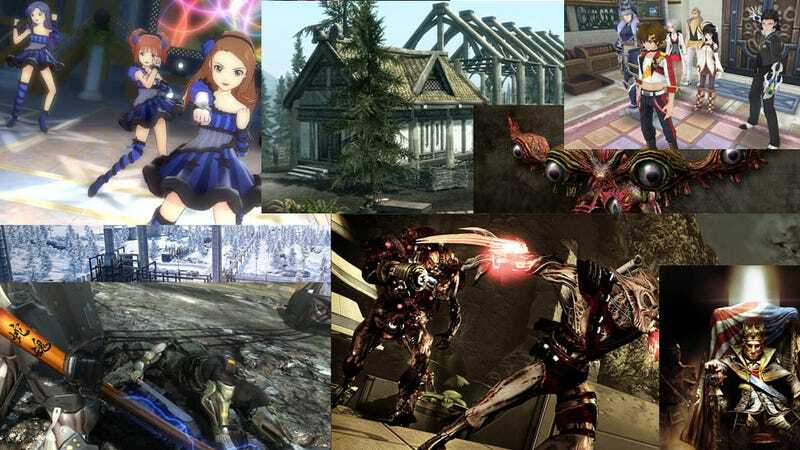 In this week's issue of Japanese gaming magazine Weekly Famitsu, developers and users were presented with questions about their thoughts on DLC. 20 different game developers were questioned. Developer names were excluded. 12 developers responded that they are actively distributing DLC, 6 developers have distributed DLC in the past, 1 had no plans to ever distribute, and the remaining developer answered "other," but no specifics on what that meant. Half of the developers noted an increase in DLC users compared with last year. "[DLC] allows for increased user satisfaction, revenue and slows the flow to the used game market"
"It allows us to release timely content in conjunction with real-world events and holidays." "DLC can lead to players revisiting games they've already put down. DLC also gives us an opportunity to develop unique collaborative content that we hope will allow users to have fun outside of the main game." "DLC released after a game's initial release lets us answer player requests and fine-tune a game, making for a more complete experience." "Periodically releasing DLC lets players enjoy games longer." "We can offer players the option of 'an alternative way to play.' The fact that it doesn't have to be mandatory, but rather an added bonus is also a plus." "It allows users to play added elements not in the main game." "By releasing DLC, we can further show a game's appeal." On the user side of the spectrum, 476 people responded to the questionnaire. Of those who answered, 95.9% answered that they had played DLC before. Of those who had, roughly 60% responded that they played only free DLC. Asked how much they were willing to pay for DLC, an overwhelming 65% of responders answered that how much they would pay would have to depend on the content rather than a strict cut-off price line. DLC is still a young paradigm, with a lot of room for improvement (I'm looking at you EA and Namco Bandai). While there are definite problems, there is also a lot of potential for good as well. What do you think? Feel free to share your thoughts.